Home » Blog » Is Someone Else Legally Responsible for Your Electrocution Accident? Is Someone Else Legally Responsible for Your Electrocution Accident? Electrocution accidents can happen virtually anywhere. They can happen in your own home or they can happen on a construction site. Most electrocution injuries in California occur in work-related settings, except for children – most children who are electrocuted are electrocuted at home. The truth is that most accidents involving electricity are preventable and are typically caused by someone else’s negligence. If you’re injured by an electrocution at home then it’s likely caused by household appliances that are defective or wiring that’s been done improperly. If you have electric wires that are exposed or that weren’t insulated correctly then you could be at serious risk. In fact, children are especially at risk because they can be seriously injured or killed by even low voltage shocks. There are also a number of household products that can cause electric shocks and electrocution, including hair dryers, electronics, power tools, and kitchen appliances. This is why you see thousands of product recalls. If you’re injured on property that belongs to another person or a company – whether it’s an electrocution or other type of accident – the legal term “premises liability” may be relevant. Basically, if a person’s injury was the result of conditions at or on the property that were dangerous or hazardous, and the property owner should have reasonably known about them, then they have a responsibility to take actions to ensure the property is safe. When a property owner doesn’t take precautions to keep their property safe, and someone is electrocuted on their property as a result of their negligence, then the owner may be responsible for injuries that result. A design defect that led to the product being unsafe or defective before it was over manufactured. The design may be fine but if defects occurred while the product was being manufactured, then the manufacturer may be responsible for injuries caused by the defects. If the product was marketed inappropriately then product liability may apply. For example, if the product was marketed for a use that isn’t its actual, safe use, or if there were a lack of warnings that the product could case electrocution. If you or someone close to you has been the victim of an electrocution then you may need a personal injury attorney. 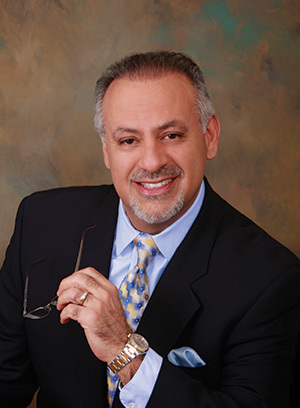 At Law Offices of Fernando D. Vargas we have decades of experience helping clients just like you. Your first step is to call us at 877-982-0707 for your free consultation. We’ll assess your case and let you know if we believe it has merit. If we both decide to move forward then your case will be taken on a contingency basis – which means you don’t pay if we don’t recover money on your behalf.